Below is a screen shot of the phone log component once logged in. This is where the bulk of the job is done on a daily basis in NWCOPRO. You can enter a new record, or edit an existing one. It all starts with a phone call in the life of a NWCO from there it is a matter of setting up that initial appointment (Tasks Calendar) and then following up with trapping and repairs - the Technician Agenda gets you there. In this area, (The Phone Log) you can enter the phone call, create the customer and the job in a single click! Then jump to the Tasks Calendar and setup the daily stops - the print tasks button allows you to hand off a schedule to a technician in case they do not have Internet access or simply as a backup - no excuses right? 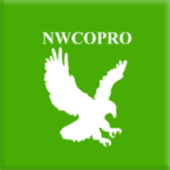 Get the job done with NWCOPRO! Tip: Use the search feature to see what your call volume for bats was last year!